Students at College Park School got a chance to take their learning out of this world. 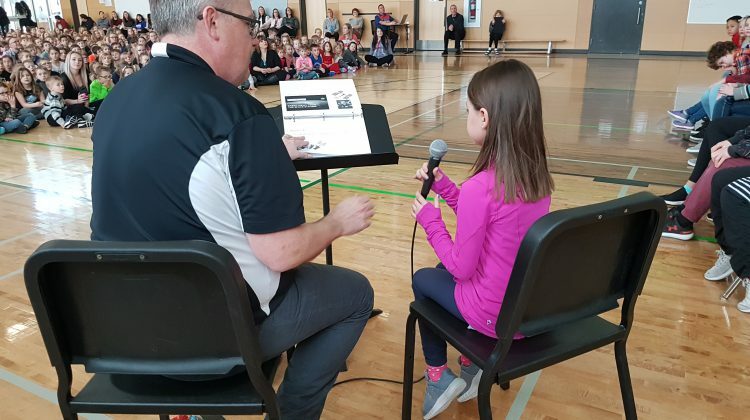 During an assembly on February 13, students got to ask Canadian astronaut David Saint-Jacques questions while he’s aboard the International Space Station (ISS). The ISS orbits around the earth 16 times per day at a speed of 27,600 km/h. There was a limited opportunity to communicate with Saint-Jacques as there’s a small time frame for the ISS to be above our area. Questions were asked one at a time by students who were picked through submitted questions. The school had about eleven minutes for students to ask questions before the ISS passed over the horizon. Radio transmissions were sent to the ISS with the help of the Sask/Alta Amateur Radio Club and the local HAM radio club. Club president Don Henry had been busy building antennas on the school so they could send and receive transmissions. He says a lot of work was put into the project by his club and highlights the talented members that helped the up the connection. “You give these guys a task, you suggest a project, they just jump on it and bring to bear all their talents of engineering, mechanical, electronics and computers that we need to make it work,” says Henry. The club had to prove their abilities to be selected by the ISS. They had to send a list of their equipment, such as their computers, radio gear and ability to track the ISS. An extra radio set was on deck in case the main one failed. Ultimately, Henry believes the work put into the opportunity was worth it. “I feel it’s really important that young people get exposed to this area of science, so they know that it’s available and they can do it and it’s all within their capabilities,” says Henry. He says that he’s talked to the ISS before and is happy to help students at College Park School make their first contact. Cornelius Krahn, a grade 6 teacher and observatory coordinator at the school, was thrilled for the transmission’s success. He sifted through 800 questions made by the students to choose which ones might benefit the kids learning. Krahn also believes the experience may have a long-lasting impact on the students. “It was an opportunity of a lifetime. I don’t know very many people who can say they’ve been able to talk to an astronaut, let alone one that was in space. 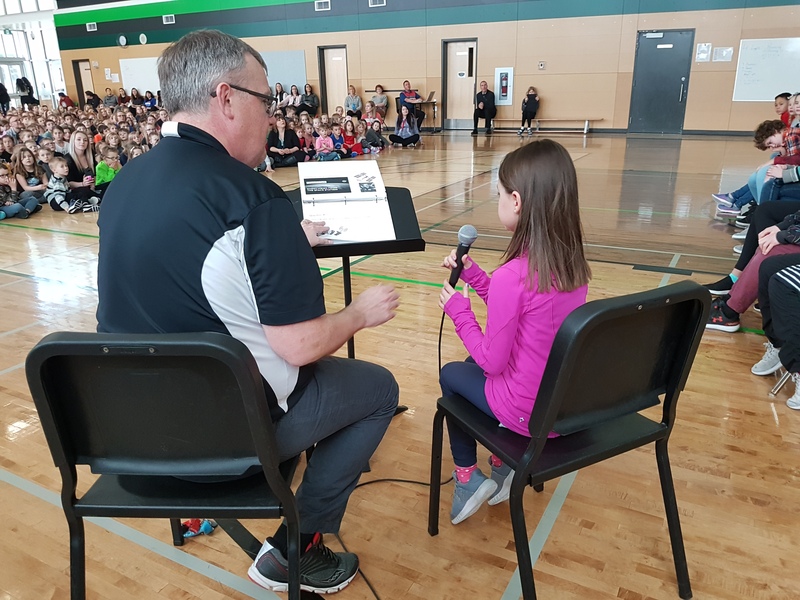 I’m sure we’ve inspired several students to pursue becoming an astronaut when they get older,” says Krahn. He believes the school was chosen to communicate with the ISS because of the observatory in the building.